Originally broadcast from December 1972 to June 1973, the tenth season of Doctor Who will be the next to receive the Blu-ray treatment, principally starring Jon Pertwee and Katy Manning but with guest appearances from Patrick Troughton and William Hartnell, returning to the roles which established the show. Comprising of five stories, The Three Doctors, Carnival of Monsters, Frontier in Space, Planet of the Daleks and The Green Death, season ten also saw the final appearances of Roger Delgado as the Master and Katy Manning’s Jo Grant as a regular character. Optional updated effects and 5.1 surround sound for Planet Of The Daleks. Doctor Who and the Third Man: a new feature-length documentary covering the Pertwee era. Keeping Up With the Jones: Katy Manning and Stewart Bevan return to Wales. The 1973 omnibus repeat of The Green Death, available for the first time. 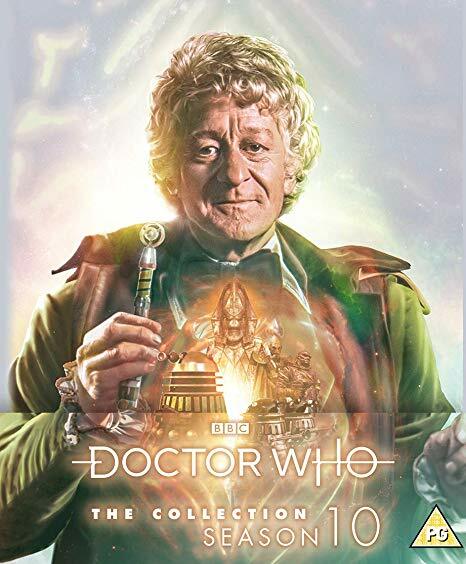 Doctor Who: The Collection Season 10 is due for release on June 8th. Pre order on Amazon now!